We once read somewhere, “you eat with your eyes first.” And while the food should taste and look good, we also believe your tablescape is equally important. 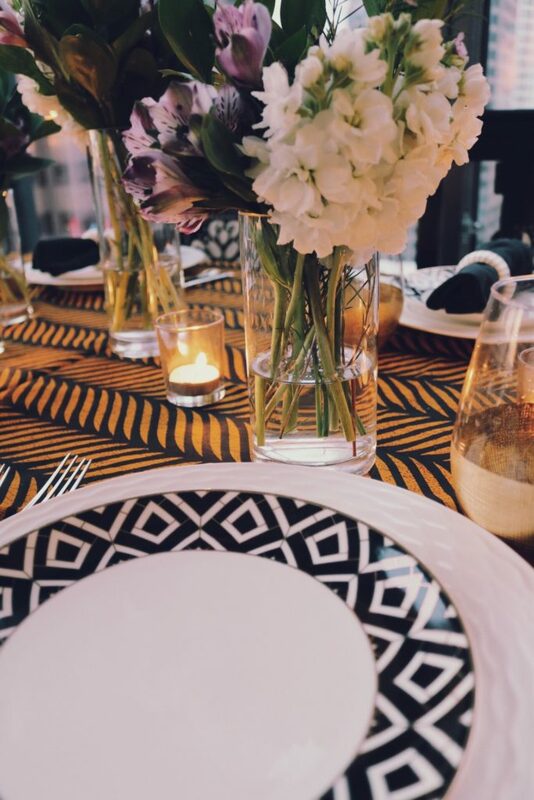 We love understated elegance with a subtle twist, but we decided to try something new and were inspired by this West African textile we found at the Ashanti Fabric Store in downtown LA. 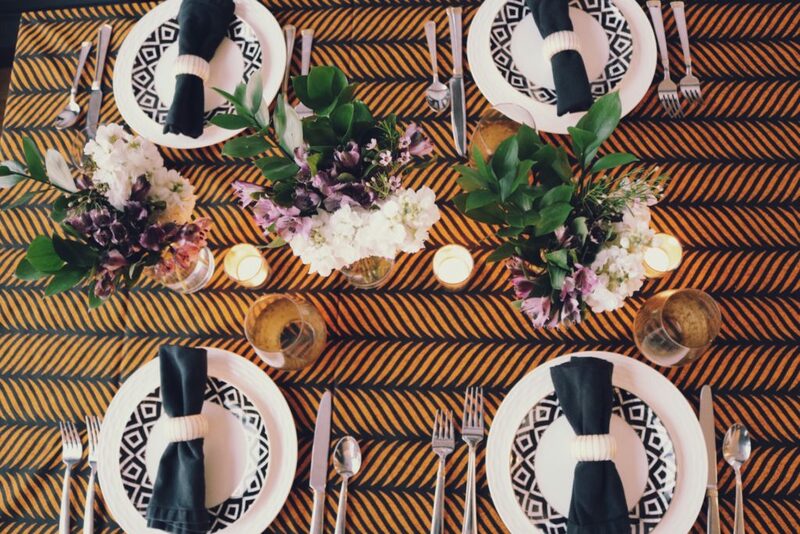 Here’s our ‘2 cents’ on how to create a memorable tablescape. A playful and colorful textile will make any tablescape standout. 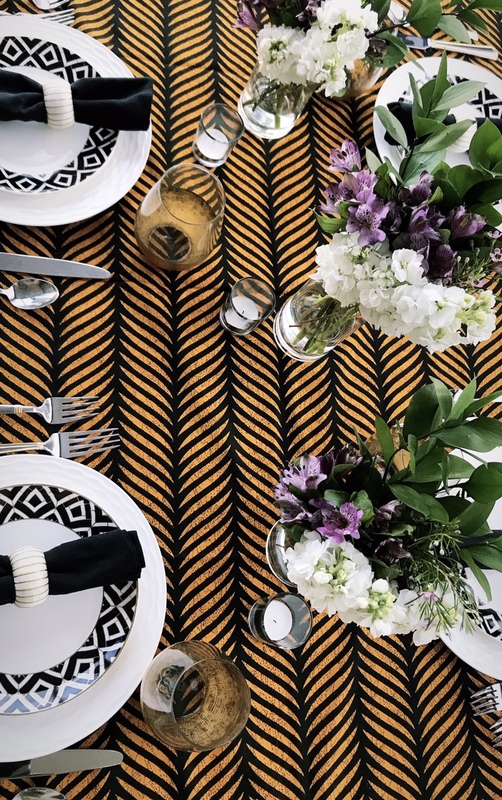 We didn’t want to distract too much from the rich orange and black so we styled the tablescape with simple white plates from Target, geometric side plates from Home Goods that have accents of black and gold, and black table linen cloths. When styling your tablescape try to keep the color scheme at a minimum. By pulling in elements of black, white and gold we were able to make the table setting feel harmonious and not chaotic. 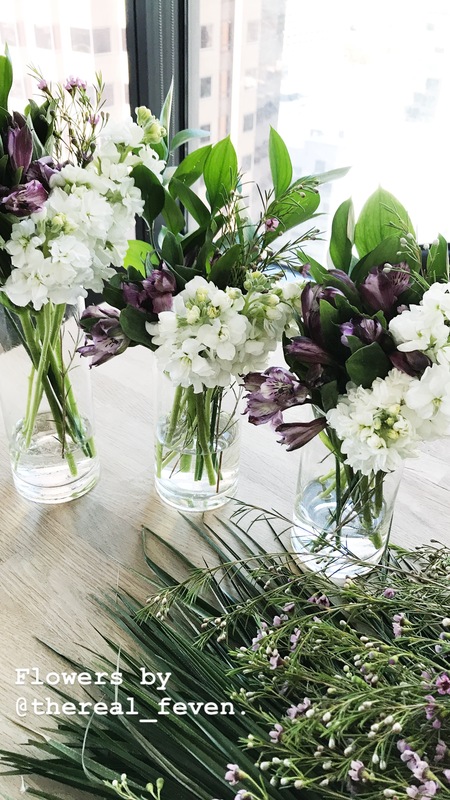 We love a “white-roses-moment” but we felt smaller, simple floral arrangments with an elements of purple, white and light greenery made more sense with our textile. Feven made these arrangements for under $15.00. Smaller arrangements spread across the table is also a great way to spread the love. So that’s our 2 cents on how to create a memorable tablescape. What celebrations do you have coming up? Make sure to tag us to and add a splash of style to your home! 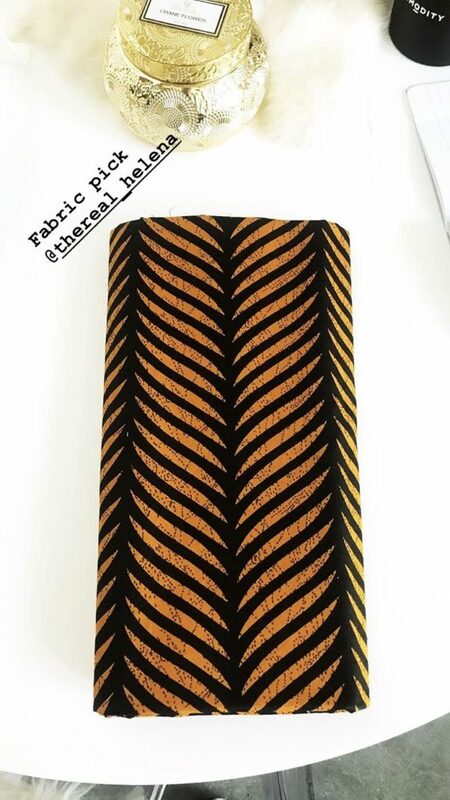 I love this fabric so much! and the florals are beautiful! Thank you so much! Try in your home!